That's my great honor and pleasure to receive this award. 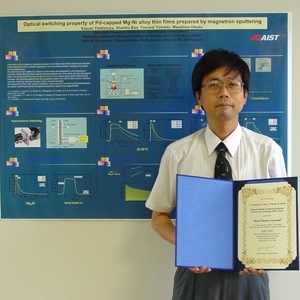 I would like to strive to put the switchable mirror thin films to practical use encouragingly. Thank you very much. 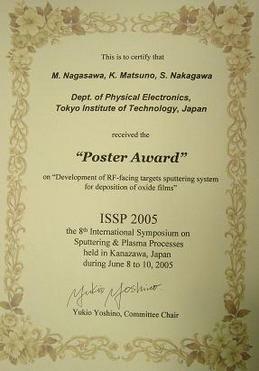 Thank you for the ISSP2005 Poster Award for our poster presentation. 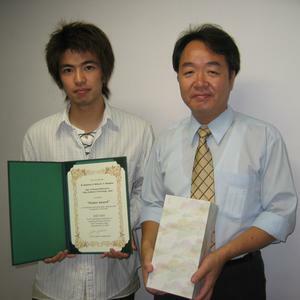 It is my great honor to win the prize. We have developed a novel "RF-FTS" method using two RF generators with facing target sputtering (FTS) system for fabricating oxide materials. We were successful in the phase control of the RF voltages applied by these two generators, and enabled the plasma discharge at less than 0.2 mTorr. It allows the application of FTS, which realizes "low-gas pressure sputtering without negative-ion bombardment", for insulating targets. 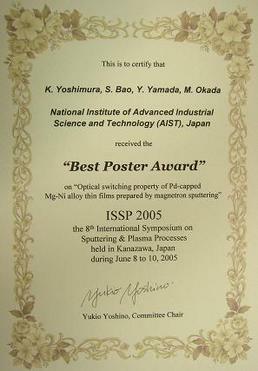 The study of RF-FTS is still in its early stage of the development. I will proceed it with this encouragement. I deeply appreciate it. 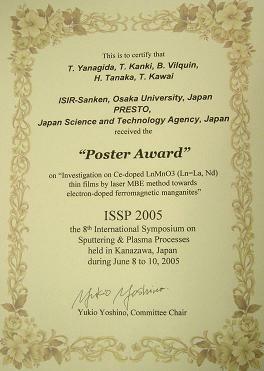 It is my great honor to receive this ISSP2005 award. 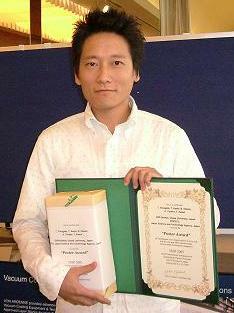 With this encouragement, I would like to exert myself to advance our research. Thank you very much.